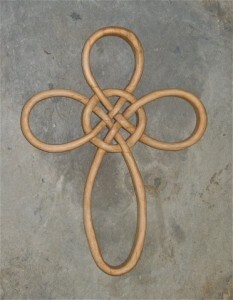 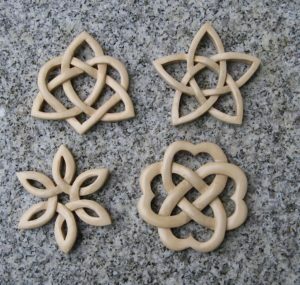 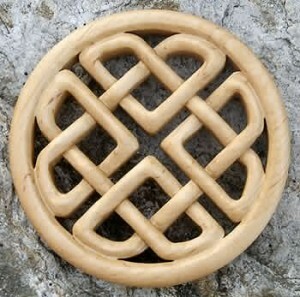 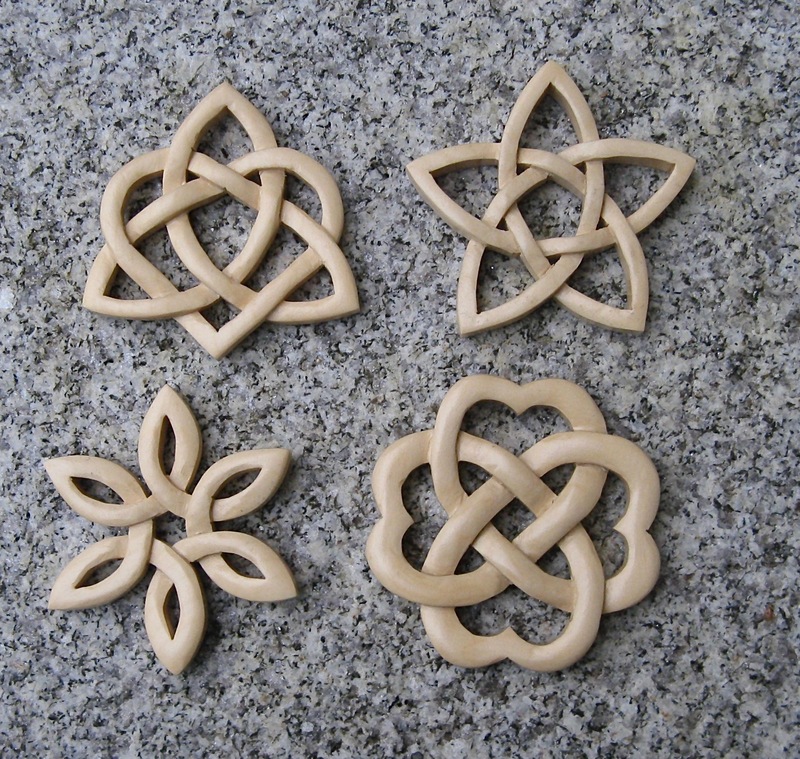 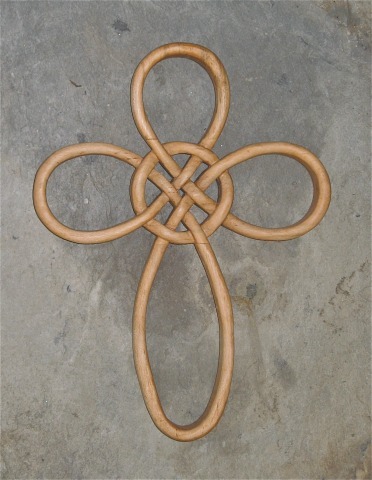 This is the same knot as the Celtic Knot Cross except that the life-line creates hearts for each of the arms of the Cross and the nimbus. 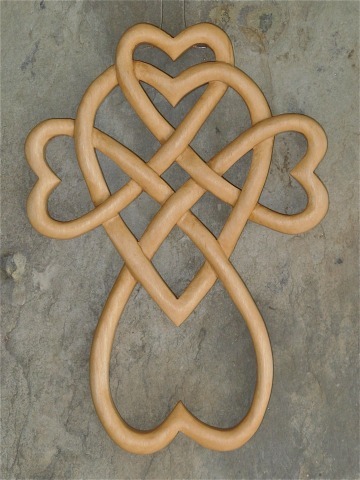 I designed this knot as a reminder of how God’s Word of Love is woven into the fabric of each Gospel and that the ministry of love and reconciliation is to extend to the four corners of creation. 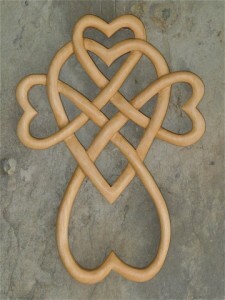 The dimensions are 5 x 7 inches – carved on both sides. 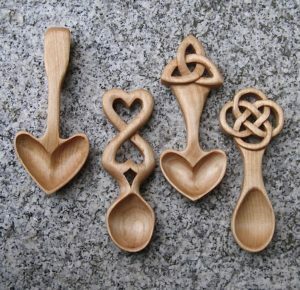 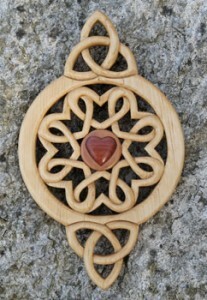 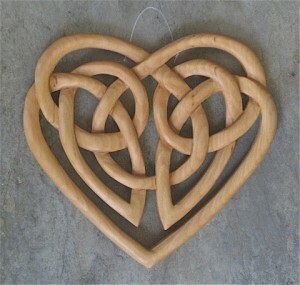 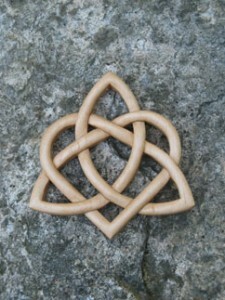 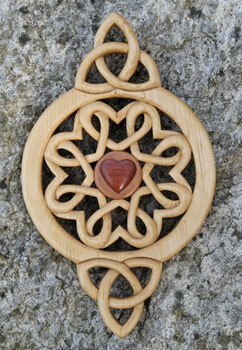 It is carved from one piece of white birch and finished with tung oil….